I love Bible study!! I love teaching Bible study, and I also love attending a Bible study that is taught by someone else. I just enjoy studying the Word and growing in my knowledge of Christ. So, I joined a Bible study at my church a few months ago, and we’re studying the book of Romans. Romans is one of my favorite books to study, but this class has been such a disappointment. Don’t get me wrong, I appreciate all of the women in the group and love fellowshipping every week. I also LOVE our church that we go to when we are up here in Northern California… the Pastor is awesome, and I learn so much from him. It’s a Rhema based church and so there is a tremendous amount of teaching on faith and specifically who we are in Christ. Which I absolutely love! This Bible study, however, is using a curriculum from a well-known Bible teacher and her teaching is not something I enjoy. It doesn’t look at the Old Testament through the lens of the finished work of the Cross. So….. suffice it to say, I’m not enjoying the class. Today’s class was on Romans 9, and our lesson was on the nature of God. We were learning what His attributes are… both natural and moral. According to this lesson, natural attributes are describing what God IS, and moral attributes are describing HOW God deals with mankind. She is not the only one who teaches this… google God’s attributes/nature, and you’ll find similar lists online through many sources. I really had a difficult time with this lesson because it gives us an incomplete picture of who God is since some of these attributes are rooted in the Old Testament and don’t take into account what Jesus did through the Cross and the Resurrection. Since the women in the class, except for myself and 2 other ladies, believed that this list thoroughly describes God’s nature, I thought I would share on my blog a few of the attributes that I feel are an incomplete picture of God. Reminder this is not MY list of God’s attributes/nature…. it is from a Bible study I’m attending. I highlighted bold the 6 that I feel are incomplete pictures of who God is. Not that they’re necessarily wrong…. 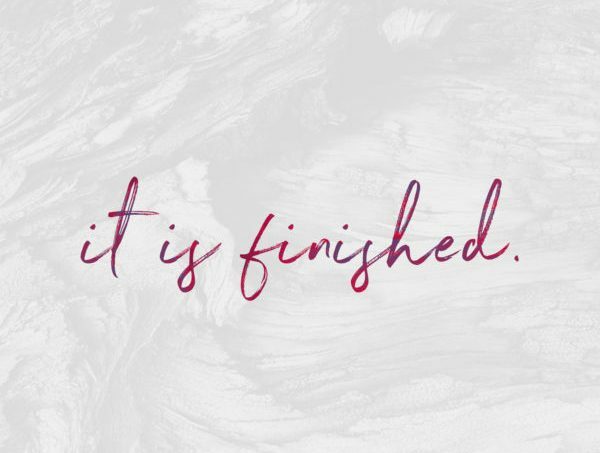 God did manifest those attributes under the Old Covenant — they are just INCOMPLETE and don’t show the reality of the finished work of the Cross. I highlighted LOVING and TRUTHFUL only because I don’t feel they are moral attributes only — based on her teaching that moral attributes are HOW God deals with mankind and natural attributes being who God IS. He is not just loving and truthful to mankind. HE IS LOVE, and HE IS TRUTH. Because He is those things… because His nature is love and His nature is Truth, everything He does is loving and truthful. But He is not Love because He’s loving nor is loving an adjective to describe Him. LOVE is His very essence. The same goes for TRUTH (Jn 14:6; Jn 16:13;). To say God is incomprehensible is to give an incomplete picture of who God is. He is not beyond our comprehension. He is definitely infinitely limitless, and we will forever be learning of who He is and growing in our knowledge of Him. He was definitely incomprehensible to the unbelieving Israelites. Romans 11:33 says He is incomprehensible because of their rejection of the Messiah due to their unbelief. To Job and his friends, the Lord is incomprehensible (Job 11:7). However, the story of Job is before the finished work of the Cross. While I do not disagree that He is incomprehensible to men at times… definitely in the Old Testament and in the New Testament to the unbelieving (because the natural mind cannot understand God)…. it still is not a complete picture of who He is. Just leaving it at incomprehensible does nothing for my faith or help me grow in grace. We also have a Knowability of God thanks to Jesus. Jesus came and revealed to us who God is… what His nature looks like. Men had a wrong, distorted perspective of God’s nature and Jesus set it straight. Let’s take a look at Hebrews 1:1-3 and John 17:26 in some different translations. Hebrews 1:3 in the Message Bible: This Son perfectly mirrors God, and is stamped with God’s nature. He holds everything together by what he says—powerful words! Hebrews 1:3a in the Mirror Bible: Jesus is the radiant and flawless expression of the person of God. He makes the glorious intent of God visible and mirrors the character and every attribute of God in human form. Who you are and what you do— And continue to make it known, So that your love for me might be in them exactly as I am in them. John 17:26 in the Mirror Bible: And I have made the essence of Your being known to them so that they may know You by name, and I will also give them understanding to know that the same love with which You have loved Me is in them even as I am in them! So a complete picture of God’s nature would include what we now have available through the Cross. Jesus FULLY revealed His nature to us… He is no longer incomprehensible to us. Nothing was hidden from us about God. So what Scriptures do we have that show us the Knowability of God? Message Bible says If you brag, brag of this and this only: That you understand and know me. I’m God, and I act in loyal love. Mirror Bible says: This life of the ages, invites them to engage in the inexhaustible adventure of knowing you, the only true God and Jesus as the Christ whom you have commissioned! Amplified says: And this is eternal life: [it means] to know (to perceive, recognize, become acquainted with, and understand) You, the only true and real God, and [likewise] to know Him, Jesus [as the] Christ (the Anointed One, the Messiah), Whom You have sent. Heb 8:11: And they shall not teach every man his neighbor, and every man his brother, saying, Know the Lord: for all shall know me, from the least to the greatest. 1 Jn 4:7: Beloved, let us love one another: for love is of God, and everyone that loveth is born of God and knoweth (ginosko) God. Amplified says: Beloved, let us love one another, for love is (springs) from God; and he who loves [his fellowmen] is begotten (born) of God and is coming [progressively] to know and understand God [to perceive and recognize and get a better and clearer knowledge of Him]. Verse 10 in the Mirror Bible says: These profound mysteries of God’s eternal resolve are now thoroughly unveiled to us by his Spirit; nothing is hidden from him; he explores the innermost thoughts of God. 1 Cor 2:16: For who hath known the mind of the Lord, that he may instruct him? But we have the mind of Christ. Message Bible says Isaiah’s question, “Is there anyone around who knows God’s Spirit, anyone who knows what he is doing?” has been answered: Christ knows, and we have Christ’s Spirit. 1 John 2:20: But you have an anointing from the Holy One, and you know all things. In the next blog, we’ll look at the nature of God being Just.